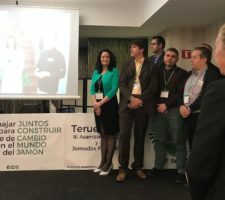 On 3 March is AGACUJ by the Charter 2018 awarded to María Auxiliadora Martín Santos for her professional career as Ibérico ham producer. 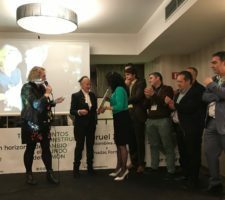 María got the certificate and price in Teruel handed over by Cati Gómez, Director of the International Relations (IR) Department of AGACUJ. 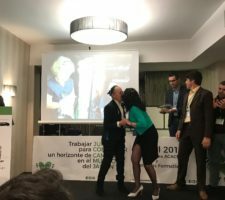 María Auxiliadora received the award and the award for her professional career. She is known among other things for her work and commitment to promote the Ibérico Ham in Spain and in other countries. This special and strong woman has more than 50 years a family company run in Corteconcepción, Huelva and her life story is very special and inspiring.